admin | Polidori Franklin Monahan & Beattie L.L.C. Congratulations to Gary Polidori, Peter Franklin, Lesleigh Monahan, and Robin Beattie for being selected to the 2019 Colorado Super Lawyers list. 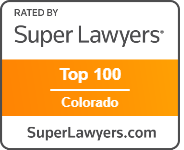 The Colorado Super Lawyers is a selection process starting with a nomination by a peer attorney, validated with third-party research, then reviewed by other attorneys. Only 5% of attorneys practicing in Colorado are selected to receive this distinction. Mr. Polidori, Mr. Franklin and Ms. Monahan have received this honor consecutively since Colorado Super Lawyer’s conception in 2006. Ms. Monahan was also named to the Top 100: 2019 Colorado Super Lawyers List and the Top 50: 2019 Women Colorado Super Lawyers List. Additionally, Hannah Westmont has been selected to the 2019 Colorado Rising Stars list. Ms. Westmont also received this distinction in 2018. Each year, no more than 2.5% of the lawyers in the state are selected by the research team at Super Lawyers to receive this honor. Congratulations to Lesleigh Monahan, for being included in 5280 Magazine’s “Denver’s Top Lawyers” for 2019. Inclusion in “Denver’s Top Lawyers” is based on a rigorous peer-reviewed survey wherein 5280 Magazine contacted over 16,000.00 licensed attorneys in the Denver-Metro area. This recognition symbolizes excellence in the practice of law. Ms. Monahan has received this distinction annually since 5280 Magazine began publishing “Denver’s Top Lawyers” in 2015. Polidori, Franklin, Monahan & Beattie, LLC is pleased to announce that Hannah Jannicelli Westmont has become an equity member of the firm. Ms. Westmont will continue to focus her practice on all aspects of Family Law. Congratulations to Lesleigh Monahan, Partner at Polidori, Franklin, Monahan & Beattie, LLC for being named 2019 “Lawyer of the Year” by “Best Lawyers in America”. “Best Lawyers in America”, is the oldest and most peer-reviewed publication in the legal profession. As the sole recipient of this prestigious award, Ms. Monahan was distinguished as the top family law attorney in the Denver metropolitan area. Ms. Monahan also received this award in 2018 and 2016. In addition to receiving this honor, Ms. Monahan has been selected as one of the “Best Lawyers in America” for the past sixteen consecutive years. Robin Beattie, Partner at Polidori, Franklin, Monahan & Beattie, LLC was sworn in as Chair of the Family Law Section of the Colorado Bar Association for the current 2018-2019 term. The Family Law Section is an organization of over nine hundred lawyers committed to improving the practice of family law in the State of Colorado. The Section provides a forum for the education of attorneys, judges, elected officials, and members of the general public. As leader of the Family Law Section, Ms. Beattie will be traveling throughout the State meeting judges and attorneys to advance the Family Law Section’s goals and objectives. Congratulations to Gary Polidori, the 2017 Frederick J. Myers Professionalism Award Winner. This annual award is bestowed upon a member of the First JD Bar Association who is a model of civility and respect in the legal profession. This award honors a lawyer who demonstrates exemplary ethical conduct, civility and respect, toward all Parties, Counsel, and the Court. Mr. Polidori was presented with his award on October 14, 2017 at the 2017 First Judicial District Bar Association Awards. Congratulations to Lesleigh Monahan, Partner at Polidori, Franklin, Monahan & Beattie, LLC for being named 2018 “Lawyer of the Year” by “Best Lawyers in America”. “Best Lawyers in America”, is the oldest and most peer-reviewed publication in the legal profession. As the sole recipient of this prestigious award, Ms. Monahan was distinguished as the top family law attorney in the Denver metropolitan area. Ms. Monahan has received this award twice in the last three years. In addition to receiving this honor, Ms. Monahan has been selected as one of the “Best Lawyers in America” for the past fifteen consecutive years.